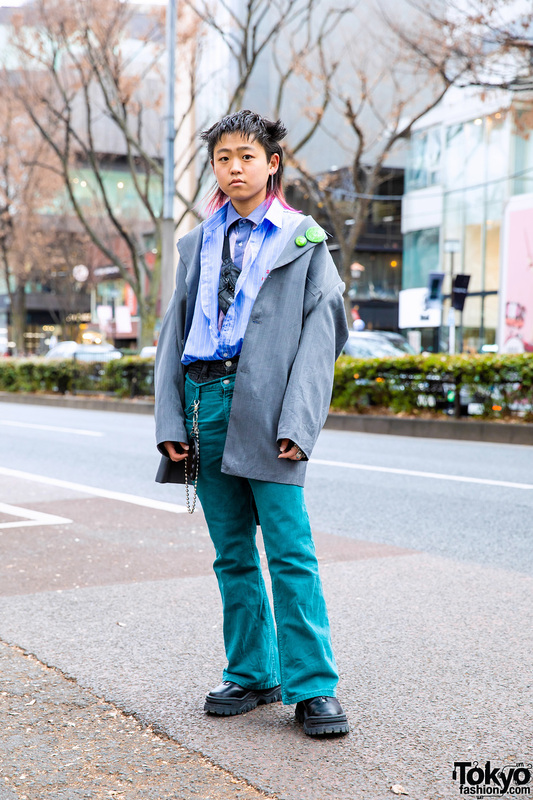 Japanese girl with green pixie cut hair in a vintage streetwear style while out and about in Harajuku. 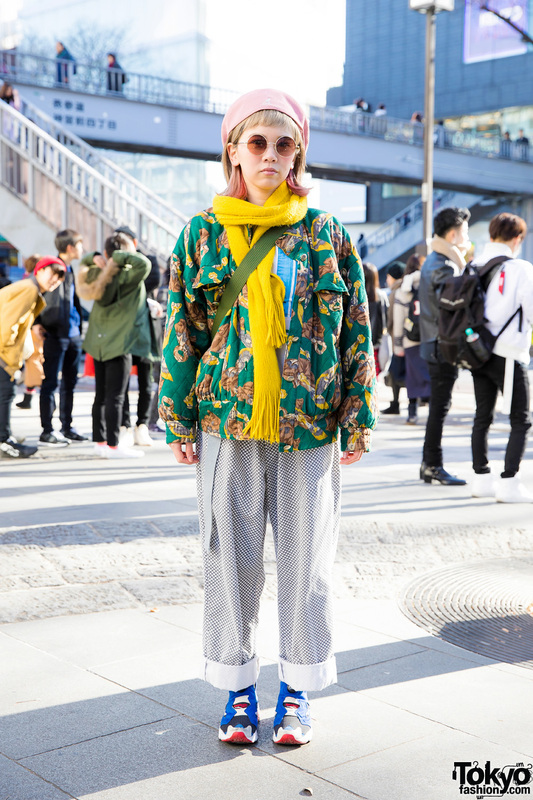 Harajuku girl in mixed prints fashion while on the busy street. 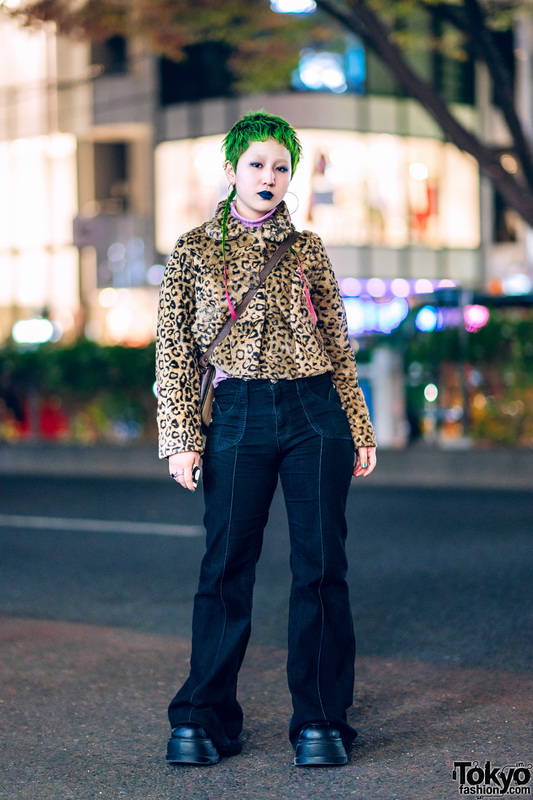 Harajuku students in stylish black streetwear looks while out walking on the street. 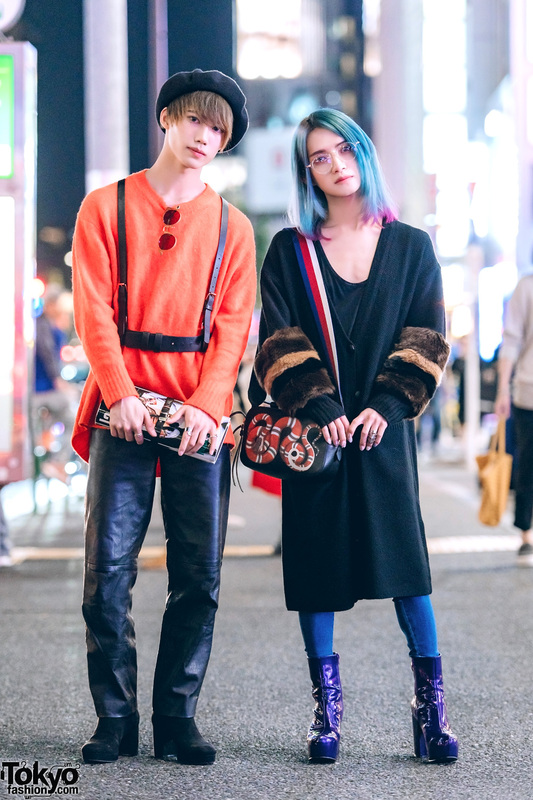 Harajuku guys sporting colorful yet minimalist fashion styles while out and about on the street.